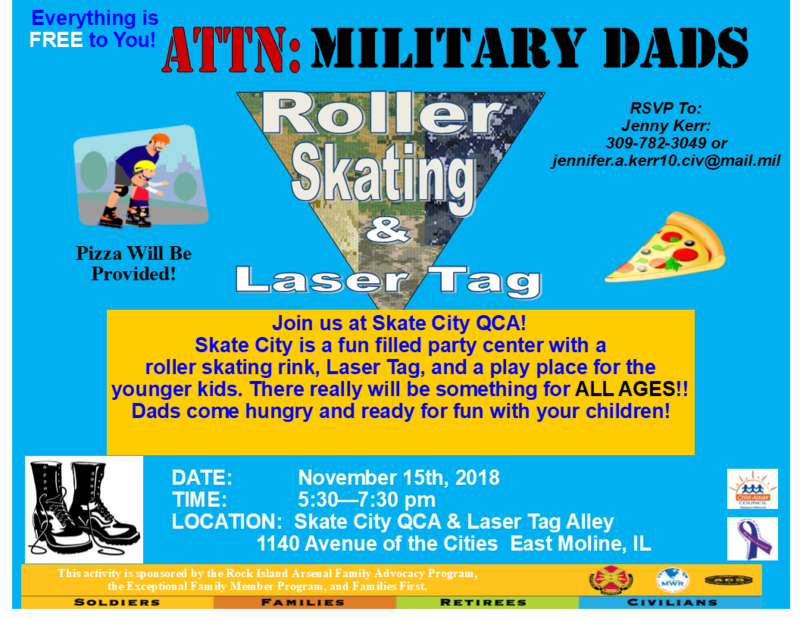 Date: Nov 15 2018, 5:30 p.m. - 7:30 p.m.
Attn all Military Dads, gather the kids and join us at Skate City QCA! Skate City is a fun filled party center with a roller skating rink, laser tag, and a place for all the younger kids. There really will be something for all ages! Pizza dinner will be provided so come hungry. Please RSVP to Jenny at 309-782-3049.